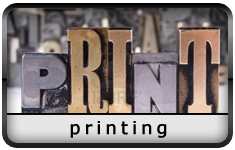 A state-of-the-art noncommercial printing area is located within the Instructional Media/Technology Center. With the Xerox Nuvera 144EA, D125, and Versant 80 production level printers, we are ready to tackle any print job the school district has. The Nuvera and 4112 are high resolution black and white machines and the Versant 80 can handle the color printing needs for the district. Please direct any questions or comments to Mike Morris, mtmorris@lawtonps.org, or at(580) 713-4207, ext. 2183. Each print order is designed using a variety of formats available for MacIntosh and PC’s. With Adobe PageMaker and In-Design for the Mac and Microsoft Office suites for the PC we are able to accommodate most formats for your printing needs. Along with the high quality printing equipment we also have several options available for binding your print job. Whether it is folding, stapling, professional tape binding, E-binding or square fold booklet binding we have the equipment for the job. LPS is one of only two sites in the state that offer E-binding. E-bind is a spiral binding straight from the machine saving time toward your finished product. Bring in your handbooks, stationery, envelopes, programs, brochures, flyers and other printing needs and let us produce a professional high quality product for you. If we do not have the paper stock in-house that is required for your job, we are able to get it ordered from our paper supply company in OKC in just a few days. We look forward to helping you with all of your printing needs. The basement of the Instructional Media/Technology Center houses the LPS Instructional Supplies Warehouse. Supplies for the entire district are ordered in bulk to maximize your dollar and then distributed to each school upon request. A supplies catalog is published annually that lists each item in inventory that is available for requisition. Schools may request that a particular item be stocked, and if the demand meets the request we will begin carrying the item. 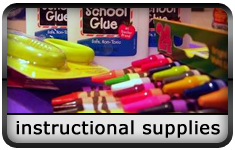 Supplies must be requisitioned with the appropriate account codes and signatures prior to delivery and made out to the Instructional Media/Technology Center. Over 100,000 pieces of mail each year is processed through the LPS Media / Technology Center. Using state-of-the-art mail handling, weighing, and stamping equipment, we process letters, cards, periodicals, and packages that are collected on a daily basis from our distribution center. We also collect mail from the United States Postal Service (USPS) twice daily and ensure that it is delivered to each facility. We also use the services of UPS and FedEx to help mail larger packages, to include overnight deliveries. 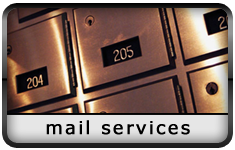 All of the districts bulk mail outs are handled by the LPS Postal Services. If you have large mail outs and they qualify, cheaper postal rates will be applied. The minimum number for bulk rate is 200 pieces of mail, identical size and weight. Please direct any questions or comments to Sandy Glaser, sglaser@lawtonps.org, or at(580) 357-6900, ext. 253. Your mail is important, therefore to assist the Mail Center in processing your mail in a timely fashion, it is necessary for you to ensure you mail is packaged and addressed correctly. All mail that is processed must include a LPS related return address. We accept properly packaged and marked parcels, and reserve the right to refuse non-mailable or improperly packaged articles or substances. It is the responsibility of the sender to prepare packages for shipping and provide protection against deterioration or degradation of the contents. If you send envelopes that are already sealed, separate sealed envelopes from the unsealed. If these envelopes are not separated, damage and delay occurs.